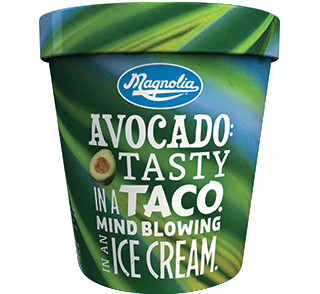 Inspired by avocado shakes – the legendary Filipino tropical treat – and made with North american avocados, our rich ice cream is so super creamy that your taste buds will totally out. Coconut – it’s the ultimate tropical taste sensation from the Philippines, one of the world’s largest coconut producers. Subtle, creamy and sweet, our rich Coconut ice cream brings the tropics to a bowl near you. Grab the ukulele and get ready for a good time. 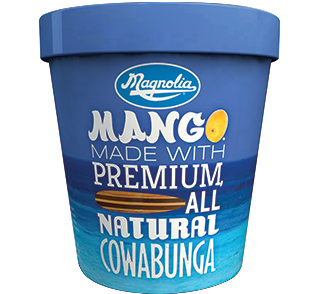 Or better yet, grab a spoon and dig into this totally tropical treat. It’s a little pear, a little strawberry, and a whole lot of delicious, creamy fun. Experience the rich flavor of the Hawaiian Islands with our sweet creamy blend of Cold Brew Kona Coffee. 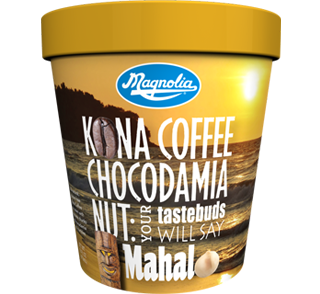 We’ve mixed in chocolate chunks and macadamia nut crumbles so you can enjoy that perfect creamy to crunch combo. 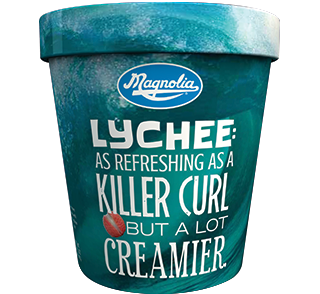 Lychee, an aromatic tropical fruit with sweet nectar inside, creates a rich ice cream that’s surprisingly bright. 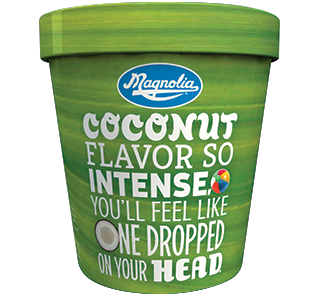 Each creamy spoonful will hit you like a wave of intense tropical flavor. The Philippines grows the world’s most delicious mangos, so we combine their silky sweetness with the richness of real cream. 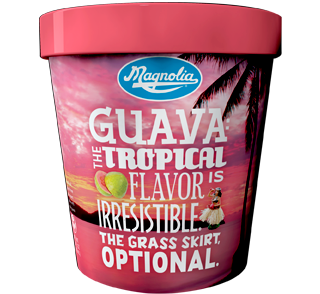 One spoonful will take you to a tropical place. 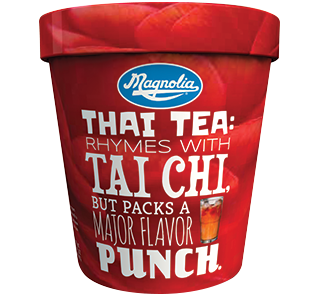 Experience the rich flavor of Thailand in our special blend of Thai Tea and sweet cream. You don’t have to be on a Thai beach to enjoy it, but you’ll feel like you are. 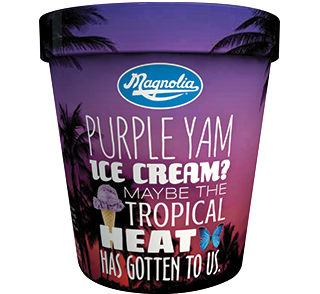 The tropics are full of surprises, and our Purple Yam ice cream is one of them. It might sound crazy, but you won’t believe how addictive the subtle/sweet flavor can be.